Experimental marketing is the process of marketing products through an experience-based way. In this process, companies hope to catch the attention of consumers passing by and create a connection with them. Engaging customers on the street or at a specific event has to be very strategic because marketers are interrupting their day. When done correctly, this strategy has the power to increase brand awareness drastically and promote a new product or brand. A recent example of this strategy happened at Coachella this past weekend. 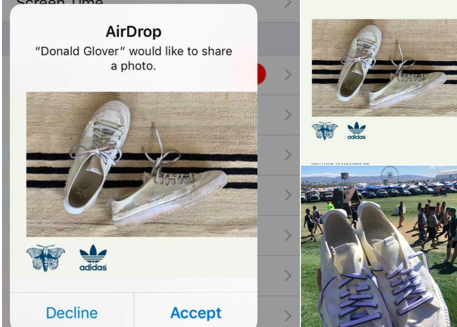 Childish Gambino started airdropping random festivalgoers a picture of his new shoe collaboration with Adidas. Every person that got the airdropped picture had one hour to redeem the shoes for free. After receiving the shoes, the recipients had to attend his show wearing the shoes. Childish Gambino used experimental marketing to create brand awareness for both Adidas and him. By making the recipients wear the shoes to his show, he was able to promote himself both on stage and in the crowd. This promotion was a terrific way to introduce a new product and promote it, especially at an event as famous as Coachella. Joe Rogan, a retired professional mixed martial arts fighter, hosts a podcasts that interviews notable people. The podcast interviewed a plethora of people from Kevin Hart to Ben Shapiro to Elon Musk. The wide variety of people that Rogan interviews connects with a large audience. By having guests on that represent a wide spectrum of ideologies, Rogan creates a network of faithful listeners that range in political, life, and religious views. Rogan did not make his podcast specific to one demographic. Rogan allowed for his platform to evolve. From starting in his garage to a studio that employs multiple people, Rogan built his podcast around the idea that his podcasts are for anyone and everyone. Rogan’s podcasts, in short, are all about the guest. 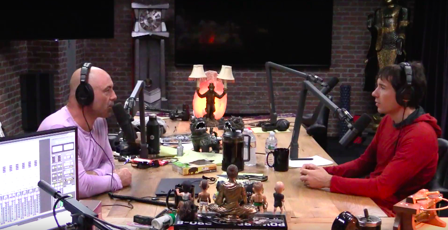 Rogan mixes his opinions in as the guests answers questions, but the majority of the show consists of the guest speaking. For example, Rogan had David Goggins, an ex-Navy SEAL and ultra-marathon runner, on the show. Rogan would not go off on tangents about his opinions, but, rather, let the guest, Goggins, speak and tell their story. Rogan built a wonderful platform around giving notable people and celebrities a place to speak. This place to speak is something almost anyone wants to hear because everyone wants to understand and know more about people they look up to. I am currently going through an inbound marketing course through HubSpot Academy. If you have not heard of HubSpot before, they define themselves on their website as, “Inbound marketing, sales, and service software that helps companies attract visitors, convert leads, and close customers.” The main focus in inbound marketing is helping customers, AKA, cater to your audience to be successful. I think that PR and marketing go hand in hand, and because not everyone takes marketing classes, this certification is like a marketing class for free. If you are a marketing, strategic communications, or other business major, this certification is worth investing some time to achieve. Google Ads and Google Analytics are two other great certifications that look great on a resume for getting jobs in the future as well. It’s easy to think potential employers and recruiters cannot paint a picture of someone with just a resume. Students have to work hard to overcome a lack of experience, and it often seems there is brick wall blocking access to internships and job opportunities. However, there is an easy, free and creative way to show more of yourself as a potential employee. Not enough students are building online portfolios, missing an opportunity to market themselves. An online portfolio is a space to showcase writing samples, case studies, research, graphics, awards, certifications, testimonies and much more. Online portfolios can be built with websites such as Wix or Squarespace, and each individual can use preset themes to start. 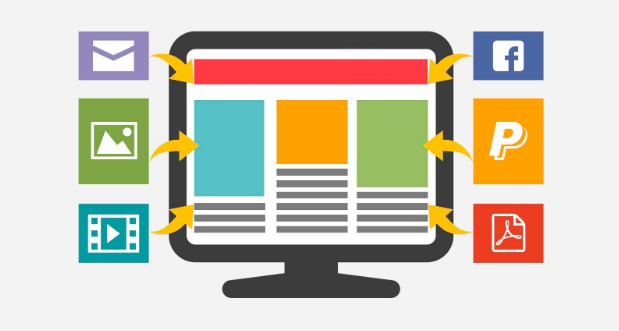 Presets are customizable to add different elements of work to the website. Another way to enhance an online portfolio is to publish blog posts, showing interest in communications outside of the classroom. 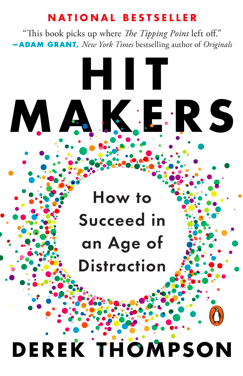 Derek Thompson’s 2017 novel Hit Makers: How to Succeed in an Age of Distraction shares many valuable lessons about popular culture and the psychology behind why people like what they like. In this book, Thompson explains that popularity stems from a balance between familiarity and surprise; people are curious to learn new things, but they are also afraid of anything that is “too new.” The concepts in this book directly relate to public relations because public relations practitioners need to understand this theory in order to effectively communicate with audiences. When working for an organization and trying to portray this organization in a positive light, it is imperative that practitioners know how to discuss new products and services in a way that balances novelty and familiarity. Thompson’s novel offers countless examples to prove his thesis that popular culture has no formula, but that throughout history, media products have become popular if they are able to provide people with an “aha” moment. People do not realize that almost every song, movie, and television show in our society today has a connection to a well-known story or some other foundation. For example, Thompson gives the example of Star Wars and how people thought Star Wars was a revolutionary concept when George Lucas shared his idea. However, after looking deeper into the symbolism and themes in Star Wars, Thompson notes that most of the characters go through a journey we are familiar with. He compares Star Wars to several bible stories and notes that Han Solo, Luke, and Leia all go through hero journey’s comparable to Jesus. We like stories we are familiar with, and that could be the reason behind the success of this franchise. Thompson’s book is relevant and important in today’s hectic society. People often ask, “How can I memorize all the words to this song, but not remember information for my exam?” We remember the words to songs because most songs follow a pattern we’ve heard thousands of times in our lives. I recommend this book to anyone interested in popular culture today. This book has examples that everyone can relate to and find a connection to, making it an entertaining read for anyone. Thompson’s writing is engaging and makes you think differently about the media that surrounds us everyday. ​Myself along with many other students, professors and colleagues, were lucky enough to be present for the Dedication of the Rick Ludwin Studio in Williams Hall. Rick Ludwin, a native of Cleveland, Ohio, graduated from Miami University in 1970 with a masters in mass communications. 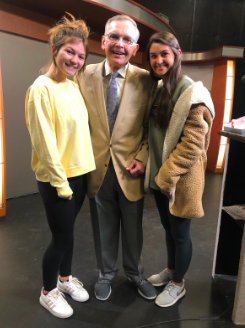 His career in television started while he was at Miami University producing his own talk show and sitcoms in the studio that is now dedicated in his name. After he graduated, Ludwin worked at NBC for 32 years. While working as vice president for NBC, Ludwin managed The Tonight Show with Jay Leno, Late Night with Conan O’Brien and Saturday Night Live. Ludwin also helped promote Seinfeld and The Office. High regards were spoken at the ceremony by a few prominent people who were a part of Ludwin’s career, including Conan O’Brien himself. Conan O’Brien sent a congratulations video and explained how Ludwin is one of the reasons he is still in the entertainment business today. A Miami alumni spoke on Ludwin’s behalf and talked about advice he had learned from him over the years. One thing that stuck out to me was it’s called teleVISION, make it a vision because radios can’t. Ludwin is very influential to the Inside Hollywood program and has donated equipment, scholarships and endorsements to Miami. For those reading that are a part of the Media, Journalism, and Film (MJF) department at Miami University, maybe you have already seen the new advertisement by Proctor and Gamble featuring Adam Levine, “Stinky Booty Duty 2.0.” Last week, during the MJF Distinguished Alumni event, Sarah Pasquinucci (class of 2003), came to speak with my STC 359 class. Pasquinucci is the communications leader for Procter & Gamble North America Baby Care Group, and is based in Cincinnati. She allowed us to do a question and answer session with her about her job, and shed some of her professional advice onto us unexperienced, college students. Thank you to all of the alumni that came to speak to us. We truly appreciate you taking the time to share your experiences. 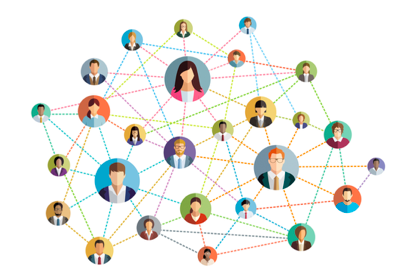 When social media first came out, it was used for connecting with the people around you. While this idea still holds great relevance today, social media has grown and become so much more. Recently, companies have started using social media as a platform to advertise and increase awareness for their products and brand. 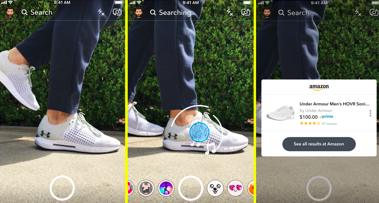 On Instagram, companies can tag their pictures with links, directing users to the exact product on their website to purchase. If an Instagram user sees a product they are interested in, they can be directed right to it, making the shopping process simpler than ever. This has driven sales for companies targeting young consumers because this age group is using social media the most frequently. It is reported that 75% of Instagram users take an action such as searching a website or shopping after seeing a post about a product they are interested in (BigCommerce). Although social media shopping is a fairly new concept, it has a lot of potential. With social media continuing to grow in number of users, companies will gain more customers. This concept is bound to change the way consumers shop, increasing sales and popularity within the online market. Today social media has taken over. Any college student could tell you the in’s and out’s of Instagram, what it means to “retweet” or how to get to the “beach vibes” filter on snapchat. A cell phone is all you need to become a social media expert overnight. In the digital age, we spend so much time scrolling that we don't notice the hidden messages and symbols in every post. When you start focusing on the connotation of symbols in ads versus the literal meaning, you see how ads can subconsciously influence the ways we think and perceive things. The study of this is called semiotics - the study of signs. Semiotics is used to analyze how our system of conceptualizing shapes the way we view things. Metaphors being a tool to engage the consumer and influence their perception. 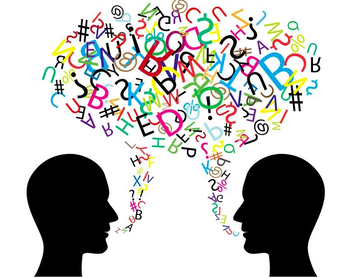 Marketers utilize semiotics to help reach their target audience and learn how to sell to/shape their behavior. This insight is particularly useful when marketing to niche markets. With a specific idea of how a consumer will read and interpret your message, marketers gain an understanding of how their message should be crafted. Thus allowing marketers to alter their ads and introduce subliminal messages that the viewer doesn't always realize are even there. Recently, while skimming through my YouTube feed, I stumbled upon a video about what makes a logo memorable. The video talks about the three different types of logos and what each one consists of. The first is the wordmark, which is described as the Disney font or the word Google. The second kind is called the pictoral. This one is a picture, like the apple that is the Apple logo or the crocodile for Lacoste. Finally, there is abstract iconography, which is considered to be the “Holy Grail” of logos. 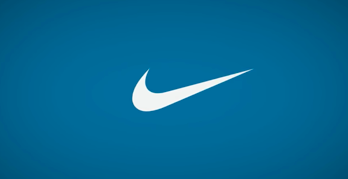 In the video, they use the Nike Swoosh as the example. Then the video discusses that there is a fourth one. A logo that combines all three types of logos, and this is called The Logo System. A great example of this is the google doodles. However, Michael Bierut, a notable graphic designer says none of this really matters. He talks about how a logo can be thought of as an empty vessel. It’s not about the logo itself but what the company does with it and puts into it. After all, the woman who created the Nike swoosh was given an undisclosed amount of Nike stock 12 years after its creation while initially she was paid $35. The dreaded pitch…. The constant worrying about the perfect set up. Will my client fall in love with the idea, or will it be a flop? We’ve all been there before. It’s enough to stress anybody out! Don’t worry! Professionals in the business have trouble with their pitches too. Here are some common problems that you may run into, and their suggestions on how deal with them. 1. Same old same old. Many professionals feel like they are continuously doing the same things in their pitches. This article by PRsay encourages you to ask what the function of each part of your pitch are. Beware of just using old-fashioned techniques that don’t add any value to your presentation! 2. Tailoring your pitch to a specific source Every pitch should be specific to the source you are pitching to; however, it can often be hard to find that element that makes it special. Another article from PRsay illustrates that pitches don’t necessarily need to be tailored to the client, they just have to align with that customers values. So next time you’re stressing out, keep these suggestions in mind, and you’ll nail it! This spring semester I chose to take STC 239, which is a class based on the many theories of communication. In the class, our professor emphasized how you can apply critical thinking skills in more than just standard classroom settings. Analytical skills go hand-in-hand with critical thinking, and if you can read a passage of an article and interpret the author’s meaning and real-world references, then you will be able to apply what you learned in a professional setting. 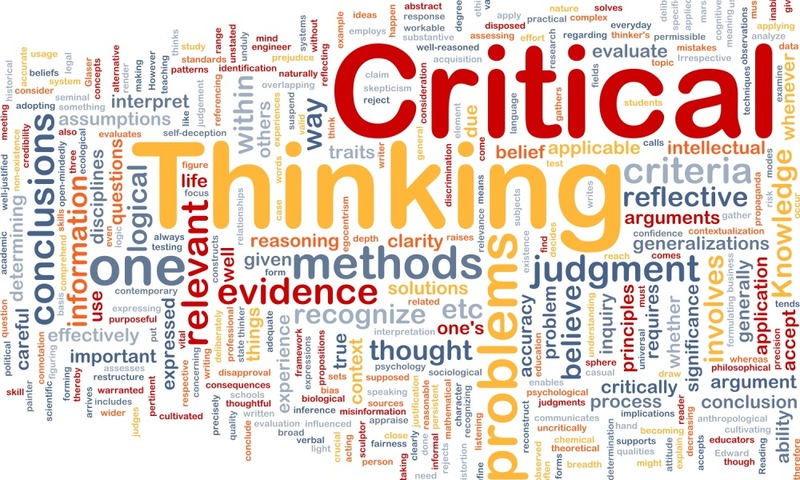 Critical thinkers know how to work smartly, and they always find a way to work around any problem they face. 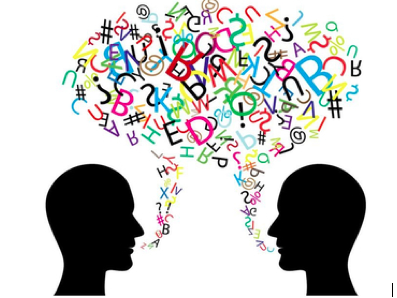 Those individuals with strong critical thinking skills know how to interact with others and be open to different perspectives, which allows them to gain even more insight on a concept. If you spend some extra time bettering your critical thinking skills, employers will notice, and the company will value you over many of the other applicants. You can quickly enhance the way you think by just asking more questions and being an evaluative reader. Trust me, if you prioritize mastering these skills, you will see improvement in the way you work. Ever wonder why one of Spotify's premium subscription features offers to get rid of advertisements? It’s because today we want our content, and we want it now. How often do you view the commercials on that new episode of your favorite TV show as a fun thing? Well, content marketing is today's attempt to change that. 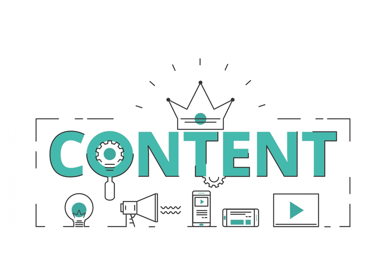 Content marketing is a specific long-term marketing strategy aimed at providing relevant high-quality content to foster a strong relationship with specific target audiences. Today content marketing is taking the world by storm because of its simple, effective, low-cost approaches to PR/Marketing. Seen as more effective than traditional marketing, content marketing is a more specific way of targeting an audience. Often the audience reached is already looking for what's offered, so they’re already 60% sold. 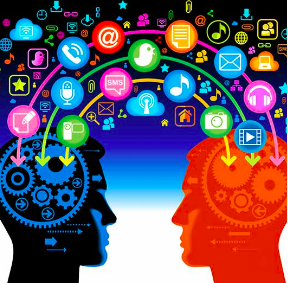 Content marketing utilizes both content creators and influences to build its strategy and execute marketing agendas. Content creators are responsible for creating, curating, editing and managing content. Whereas influencers are the individuals who have the power to affect the purchase decisions of others. Examples of influencers include celebrities, bloggers, and industry experts. Practice makes perfect: There has always been something so nerve-wracking about standing up in front of a crowd and professionally presenting a story or idea. It never hurts to prepare. Pro tip: practice your presentation in front of a mirror. Nervous tendencies: Looking in a mirror will also direct you to all of the awkward mannerisms you have when you speak. Try your best to pick up on these, and learn to eliminate them as soon as possible because they are distracting to an audience. Periodical pauses: Do not be afraid to take pauses here and there. Most uncomfortable speakers tend to speak rather quickly, so it is sometimes helpful to allow yourself to pause for a moment to gather your thoughts. Strong body language: The way you present yourself to an audience is crucial because they will notice every movement you make. Do not let this scare you, but allow it to enable you to think about how you tend to use your hands. Practice being audible: Nothing is worse than not being able to hear a speaker because they are not projecting to the entire audience. Record yourself before a presentation and make sure to be extra loud and to pronounce every word. Career fairs can be intimidating to many, especially for those who have not attended one before. If you are fully prepared, then you will have the confidence to talk to recruiters and show them your true personality and talents. Follow these steps below to make sure you are ready for the next career/job fair that comes to your school or city. 1. Make a list of all the possible companies you are interested in speaking to. This will make the fair seem smaller and much more manageable. Often several weeks before the fair the host will post which companies are coming and when. 2. Research background information of those companies you are interested in. You will feel much more confident approaching a company you are interested in if you have a little bit of knowledge about them and the positions they offer. You will also be able to devise valuable questions to ask to help you stand out. The website of the company and their LinkedIn profile are a great place to start. 3. Set a map for your route. Locating where your company will be positioned prior to entering the fair should help relieve any anxiety the day of. A map should most likely be available online. 4. Update your resume and print out multiple copies. Make sure you have enough copies and a few extra in case you talk to more people than expected or one gets damaged. 5. Practice an elevator pitch. While most the time the talking will come naturally, it is good to have an introductory pitch about yourself on hand. Focus on who you are, how you heard about the company and why you are interested in the company and position. 7. Don’t be afraid to talk to a random company that looks interesting! You never know who you might meet or what might surprise you. 8. Even if you feel you weren’t successful, just know that this was practice and it can never hurt to network so you are ready when the right time comes around. Weather you’re a student or a full time employee, we all lose motivation. Everyone is familiar with the second semester loss of motivation that college students experience, as well as the oh so familiar loss of motivation in the winter. Staying focused during the low dips in motivation is key in reaching your goals. How does one push through the dreaded motivation drought and onto success? Don’t think about the work as difficult. Instead think about how this work is pushing you towards your end goal. When you finish the work in front of you, you’re one step closer to who you want to be. Make smaller, more achievable, goals. Don’t try to take on too much, especially when you are already low in motivation. Take on smaller goals that lead to your larger goals being accomplished. This will make everything seem much more attainable. Stop caring about the things that don’t matter. Focus on the here and now. People have a tendency to worry about unnecessary things. It is useful to go back over your to-do list and take out the things that only add to the stress, but not to your goals. Recognize that there is a time to throw in the towel and give yourself a rest. 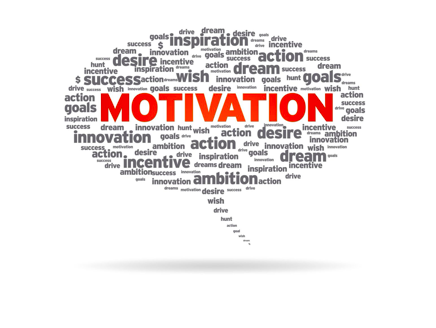 The best way to regain motivation is by knowing when you have had enough and need to refuel. Give yourself a time limit so you will know when it is time to turn away from all the work and give yourself a deserving break. When feeling a lack of motivation, just dive into the project or work in front of you. You will be happy when you have it done, and less stressed. Sometimes sitting down to focus and get started is just the motivation you need. Big or small, it is important to celebrate each accomplishment. It is easy to forget just how much you are actually doing, so don’t forget to take a minute, look back, and reward yourself for your accomplishments. 1. Focus on forming relationships Don’t just simply focus on the business side of things get to know the person. Have a positive attitude while remaining professional. 2. Start with people you already know As a college student, you can always start with friends and family. These people are more likely to help you in your professional field since they already know and trust you. 3. Do the work Make sure before you begin networking you learn as much as you can about the industry. This shows you are dedicated and knowledgeable. 4. Ask for information and advice When networking with someone you may not know, you don’t want to put them into an awkward position by just blatantly asking for a job. Asking for information allows the person to get to know you first. 5. Follow up Don’t let your connections die out. Keep the relationship alive by keeping in touch regularly. Thanking your contact for their advice is an easy way to maintain the connection overtime. 6. Update your Linkedin Profile Linkedin is often the first-place people will look after you reach out to them. Make sure your Linkedin is fully updated and you are active on your page. Writing a cover letter can be a daunting task. It is a way to share your personality and make yourself stand out from the piles and piles of resumes. There are however do’s and don’ts when thinking about what to include in a cover letter. In the basic form, a cover letter should be an extension of your resume, not a reiteration. This is the time to detail your passions or explain in depth that project you are most proud of. Follow the three tips below to make sure your cover letter is in its best shape. 1. Do your research to find out who will be reading the letter and address it directly to them. In many cases, this can be found on the company’s website. If you strike out, LinkedIn can be another useful resource. Addressing the cover letter to someone directly shows that you have done your research and are a caring applicant. 2. Make sure you include why you want to work at that specific company. This is a great place to tie in how your skills, experiences and passions make you a great candidate. 3. Cater your cover letter to the industry you are applying to. Don’t waste space talking about information that would not apply to the job that you are interested in. 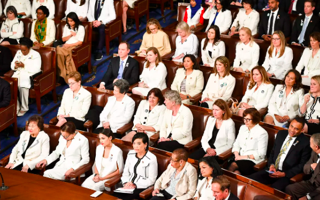 While the President’s speech made powerful impact on headlines, so did the women of the House by dressing in all white. They wore white to pay tribute to the U.S. Suffrage Movement in the early 1900s. In all, this speech served a pivotal point in President’s Trump term and hopefully we see some positive change. Company recruiters and Human Resource associates click through tons of resumes each day. Among many other applicants, your resume has great content and a professional look, but how can you set yourself apart from the masses? How do you make sure that someone will stop and look at your resume? There are many ways to create a resume and most students use simple templates found online to create their own resume. Templates lay out your resume in a specific format, then you fill it in with your information and experiences. These templates are usually basic and seen over and over again by employers. A great way to grab the attention of employers is to differentiate your resume by reflecting your personality on the page. A great way to find more unique resume templates is to look on Etsy.com. Etsy is an e-commerce website that allows vendors to sell their handmade products through their platform. This website has a lot of different and unique resume templates that can be specified for your major, the field you work in, or by cost. These templates are an inexpensive way to boost your resume views among employers. If you are looking for smaller ways to tweak your resume, there are many options you can use. Change your Times Roman Numeral font to a font that captures your personality. There are many fonts supplied on Microsoft Word, Google Docs, or Pages, but there are also websites that allow you to find and download more unique fonts such as dafont.com. These websites are easy to find, navigate, and are free. Adding color to your resume will also help your resume stand out among employers. Color can be used in very small ways, or very big ways. The most professional way to add color to your resume is by using it sparingly. Changing the text color of some words that you want accentuated can make a big difference in the look of your resume. The final easy fix to your resume is adding icons and shapes. These may seem unprofessional or inappropriate for a resume, but some shapes and icons can look very sophisticated when done correctly. For instance, in the section with your personal information, you can use icons above or below your email address, home address, phone number, and websites. This adds visual appeal and ease when scanning resumes. You can also use simple geometric shapes, such as rectangles, behind the text headings of your resume. These shapes add dimension and personality to your resume. When it comes to shapes, you can also use long, skinny boxes or lines to emphasize the outline of your resume or to direct attention to important sections. These suggestions can be used separately or together to create a new, personalized look for your resume. 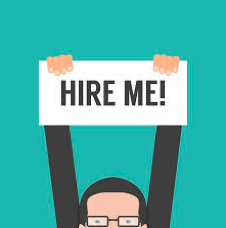 Now that you have found a new, unique template, changed your font, and used color or shapes to show your personality, your resume stand out among other applicants. 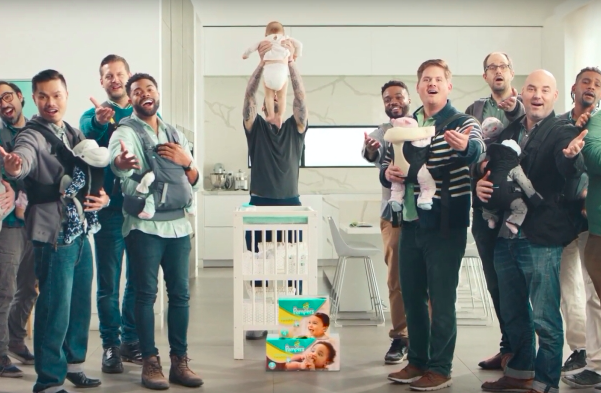 With a dull Super Bowl, at least the commercials were entertaining. I’m not a major sports follower, but I do look forward to the two best teams in the NFL clashing heads before football goes away until winter. 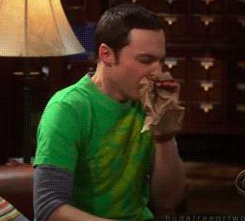 But with the excitement of the Super Bowl, there is even more excitement for the Super Bowl commercials. And this year the beer industry came to play with creative and factual commercials. Bud Light has been spreading the phrase “Dilly Dilly” and the Bud Knight to illustrate that royalty and peasants drank Bud Light from Anheuser-Busch. But the fact that no one knew was that Bud Light is not brewed with corn syrup but it’s top competitor’s Miller Lite and Coors Lite are. 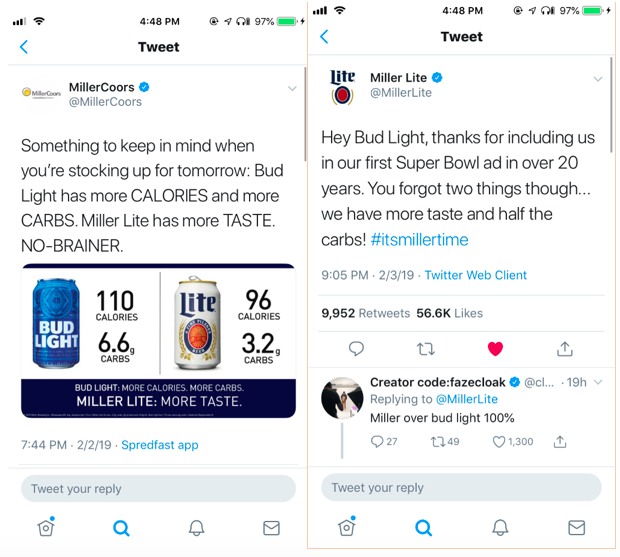 Well, Miller Lite wasn’t going to sit back and not rebuttal so they tweeted some powerful stats for all Bud Light fans. Are you looking for a summer internship or full-time job offer? Thousands of students around the globe are also searching for work. The application process differs for each company, but there are a few key parts that are universal: applications and interviews. Through this process, what is the best way to separate yourself apart from the pool of applicants? Applications may seem daunting, but they are just the first step of teaching the company more about you. All applications ask for a resume, so make sure your resume is up to date, professional, and shows your personality. Many applications allow you to upload a cover letter or letter of recommendation. While these are not required, they do set you apart from the masses of other applicants. Most applications ask questions based on your major, past work experience and proficient skills; all of which, are most likely already on your resume. Applications are easy to apply to, but make sure to double check your work and go above and beyond using cover letters and letters of recommendations to stand out. Interviews are the next step to securing your summer or full-time job. Most recruiters will schedule a phone interview which can be conducted as a simple phone call, or a Skype call where you talk to someone face to face through a laptops or computers. This is another method for the company to get to know you more, learn about your past experiences, and determine if you could be an asset to the company. Being yourself and speaking honestly about your prior experiences is the best way to conduct yourself during an interview. Depending on the company, you may have multiple phone interviews and/or be asked to go to the corporate office for final rounds of interviews. After each interview, send a follow-up email to the person you interviewed with. The email doesn’t have to be long but expressing your appreciation for their time and consideration shows your interest in the company. It may take a while for the company to make their final decisions, but do not get discouraged! To ensure your greatest chance of landing a professional job, apply to multiple companies and positions. Be sure to do your research on the company and present yourself in a professional manner. Best of luck with the application and interview processes! All businesses expect to gain profits, make a difference in the world, and change the way people live; but they don’t expect to have a crisis. Crises can happen at any point in time to any business and the best way to deal with it is to know what to do. A crisis is a negative event that can ruin you and/or your company’s reputation. 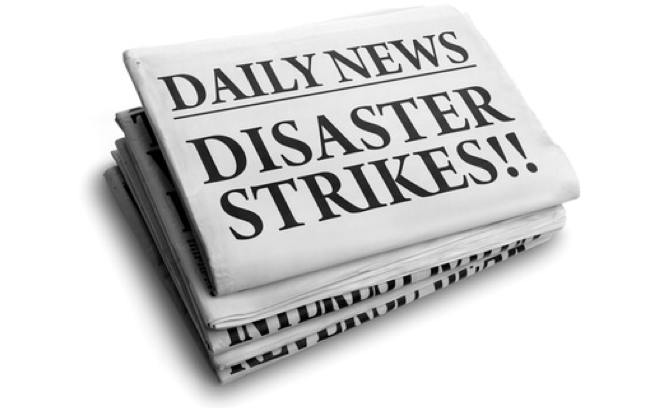 Examples of a crisis include: industrial accident, fraud, negative articles in media, investor backlash, poor customer service, product recalls, employee misconduct, etc. So, what should you say or do during a crisis? Accept responsibility! Help people prevent further harm by informing stakeholders so they can prevent adding to the crisis. Help the people involved cope psychologically with the crisis and express sympathy to the victims. Finally, tell the public what you’re doing to prevent another crisis. “It takes 20 years to build a reputation and 5 minutes to ruin it. If you think about that, you’ll do things differently,” says Warren Buffett. It’s getting to that time in your life where job hunting is right around the corner. Your resume will be your lifeline during this whole process. That being said, there are numerous ways you can make yourself stand out among the rest. Put all your best attributes at the top. Employers will look at this part first, so it’s important that you catch their attention right away with your foremost skills, experiences and achievements. Proofread, proofread, proofread! Employers will throw your resume away if it gives off an unprofessional impression. There should not be any typos or grammatical errors anywhere on your resume before you send it to a company. You can use an app, like Grammarly, or even someone else to help make corrections. Tailor your resume to the job you are applying for by doing research on what the company wants. There may be certain skills an employer is looking for in the job description, so make sure you are aware of what they want and put those skills at the top where they will be able to notice right away. Only add your GPA if it is a 3.5 or higher. This is an optional addition, but it can definitely help spice up your resume because it shows a strong work ethic. If your GPA is below a 3.5, don’t include it, and find something else to make yourself stand out. Try to include as much work experience as possible. Even if you have not had a lot of professional experience at this point in your life, there are still so many jobs employers respect because of the skills they require. 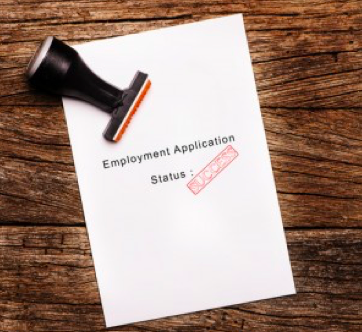 Now that you are aware resumes are a big part of the job-hunting process, it’s time for you to start creating your own. Even if you are years away from finding a job, it’s still smart to think ahead. Personal branding is the “Business of People”, it’s the act of establishing and promoting what you stand for. This unique marketing strategy focuses on YOU as a product - it is your reputation and the combination of your personal attributes that differentiate you from others. A strong personal brand helps in building confidence while gaining trust, authenticity, and originality with your audience. Personal branding is establishing yourself in a marketplace, making you more competitive in that market. Personal branding is NOT just self-promotion, it’s a process of defining who you are and the type of person you want to be -- it shapes perception of your leadership style, work ethic, and personality. The use of personal branding allows you to develop a unique personal identity provoking deeper connection with your audience and setting yourself apart from competitors. This skill is one that can be utilized and helpful in both professional and social settings. A strong personal brand helps differentiate you from the rest of the marketplace. Crafting a following, maintaining a brand identity on a personal scale, and audience relations are all key aspect in personal branding. Identify your uniqueness and strengths - everyone has them it’s your job to find them. People become passionate about passionate people, the more passion you share the more enthusiasm you’ll receive. Market yourself as you’d market a product. A product may be revolutionary, but without the right branding, it can become irrelevant.